hey!connect is a London based mobile app design and development agency specialised in creating beautiful and feature rich apps for companies in the travel, leisure and entertainment sectors. We offer custom mobile app design and development from just £5,000 plus a modest monthly fee! Now is the time to get your business into your customers' hands. "connecting your business with your customers"
Hotel Hacienda Na Xamena, Ibiza, is a private enclave for your dream holidays, a white washed Ibiza style property, suspended on the coastal frontline, 180m high over the sea level, in the heart of a preserved natural park. With its fantastic views of an emerald sea due to its unique setting at the top of a cliff, Na Xamena invites you to live your rebirth between heaven and sea! Palestine on a Plate will take you on a journey through time with delicious Palestinian recipes and personal stories. Get a glimpse of the secret recipes that have been handed down through generations across a variety of tastes and flavours with regular updates and new recipes. Kensington Mums is an award winning service connecting Mums in their journey through motherhood. 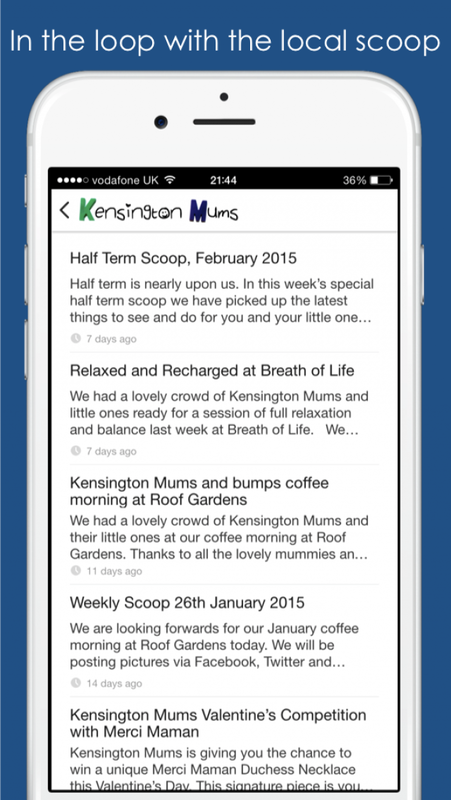 Get the Kensington Mums app and join our growing community of mums and mums to be sharing great parenting tips and advice. As one of our 'Mums' you will also be invited to take part in some fantastic social events and activities. The mobile app for the Schleu 40th Birthday Weekend taking place in February 2015! Get SCHLEU40 for access to all the event information, latest news and updates. The SCHLEU40 app also allows you to find friends, post pictures and see what everyone else is sharing during the event. Copyright © 2015, HeyConnect Ltd.